JNN 08 Oct 2014 Sanaa : Yemen’s Shia Revolutionaries Known as Ansarulla have rejected the new Yemeni Prime Minister just hours after his appointment, in a blow to hopes of restoring order two weeks after they overran the capital. saying the decision has been made at the behest of the United States. 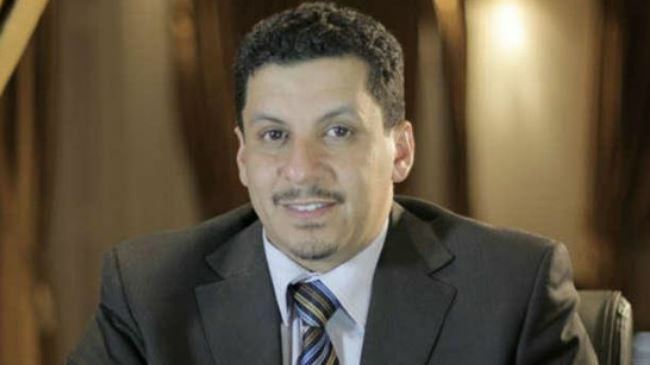 President Abd Rabbu Mansour Hadi appointed his chief of staff, Ahmed Awad bin Mubarak, as the country’s new premier on Tuesday. Yemen’s Ansarullah, also known as Houthis, accused the embassy of the United States in the Yemeni capital, Sana’a, of involvement in Hadi’s pick for the post of Prime Minister. Shia Houthi rebels rejected the new prime minister as no agreement officially took place. “We strongly reject this nomination, which is not in accord with the will of the nation and does not respond to the wishes of the people,” the Ansarullah spokesman said in a statement after the appointment. “This appointment is at the behest of outside forces, a denial of national sovereignty and… the rule of consensus that must direct the process of political transition,” the statement added, without elaborating. “This decision has met widespread popular rejection and the people are preparing to resume the revolutionary escalation and complete their revolution which will only end with achieving their objectives,” he added. The Ansarullah refusal will further delay the implementation of a ceasefire deal sponsored by the United Nations that called for the Houthis to withdraw from Sanaa once a new Neutral Prime Minister was named. Houthi fighters stormed into Sanaa in an offensive on September 21 and proceeded to establish a strong military presence, mounting patrols and manning checkpoints. The Ansarullah activists, who played a key role in the ouster of former dictator Ali Abdullah Saleh, have been staging demonstrations in the capital for more than a month, demanding resignation of the government over what they call its corruption and marginalization of the Shia community in Yemen. On September 21, Ansarullah fighters took over Sana’a, following week-long clashes with Wahabi / Salafist militants backed by Major General Ali Mohsen al-Ahmar, Saleh’s stepbrother. A UN-backed ceasefire deal, which was subsequently inked, called for the withdrawal of the revolutionaries from the capital once a neutral prime minister was picked. The nomination Mubarak came two weeks later than it was scheduled in the agreement. Mubarak would replace Mohammed Basindawa, whose cabinet was accused of corruption by the revolutionaries, and whose departure was one of their main demands. This entry was posted in Middle East and tagged Ahmed Awad bin Mubarak, Ansarullah, President Abd Rabbu Mansour Hadi, Shia Houthi, Yemen, Yemen's Prime Minister. Bookmark the permalink.